The Teatru Pandora in Żejtun will be hosting the first ever Teatru Malta office, the newly-founded National Theatre Company. Teatru Pandora is run by the Għaqda Banda Żejtun and was built between 1950 – 1955 by the late Edwin England Sant Fournier. The theatre has hosted a variety of community events throughout the years and is considered to be one of the largest theatre spaces on the island. The Pandora ’s foyer has recently been refurbished, along with the office space which will officially house Teatru Malta’s first office. Teatru Malta will also be making use of the theatre space as a rehearsal space for future projects. 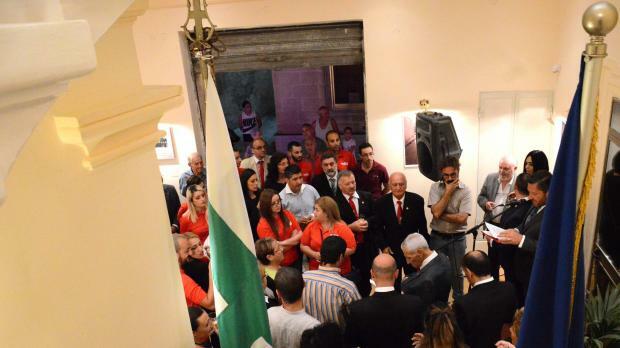 “This is a very concrete example of Teatru Malta’s iron-clad community identity. We are borrowing a space from the community to have a project such as Teatru Malta work from here. That way we can invest both infrastructally and artistically in our communities,” said Albert Marshall, chairman of Arts Council Malta. “At the centre of our communities, we feel we are closer to home. 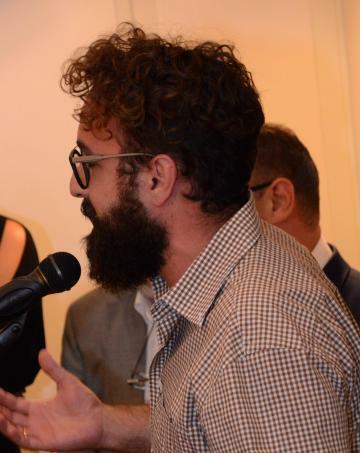 The more we grow, the higher we can aim; we dream of having more regional offices in the next five years,’’ artistic director Sean Buhagiar, who also gave a teaser of the programme intended for such spaces, said. “While our programme will incorporate different styles and types of theatre we aim to continue to focus on the importance of audience development. As one of our community projects, which will feature in community theatres across the island, we have commissioned Il-Madonna Tiegħi Aħjar Minn Tiegħek - a touring operetta that is being composed by Alex Vella Gregory with a libretto by Trevor Żahra." The operetta is being produced in collaboration with the Għaqda Każini tal-Banda and will essentially focus on festa culture and religious symbolism in Malta. While respecting local values, this is a project mainly aimed at audiences interested in such themes. "Hopefully these audiences will then become interested in some of our other work which was not necessarily their first interest,” Buhagiar concluded. Teatru Malta is a project supported by Arts Council Malta and will launch its first programme for 2018 in December.